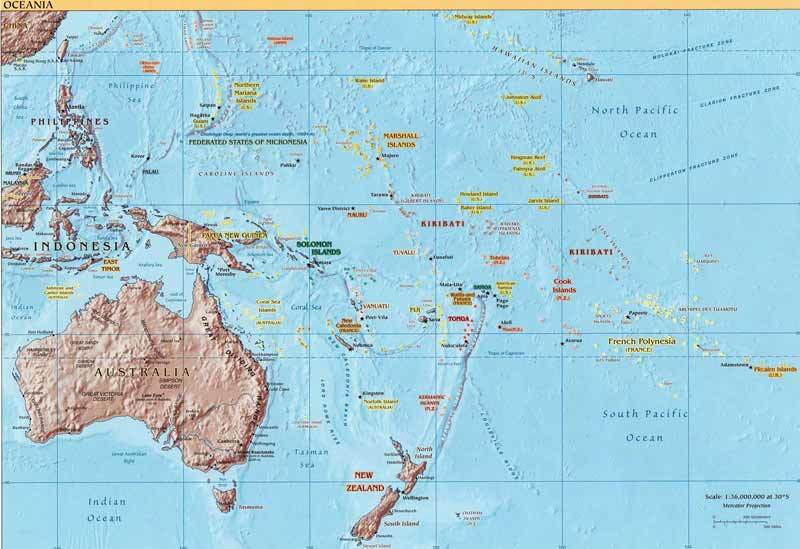 Oceania is a vast, arbitrarily defined expanse of the world where the Pacific Ocean – rather than land borders – connects the nations. It is home to glistening white beaches, coconut palms swaying in the breeze, beautiful coral reefs, and rugged volcanic islands rising out of the blue ocean. Its diverse nations have both some of the world’s most cosmopolitan and internationalized cities such as Melbourne, and some of its most remote and culturally isolated villages. Australia, New Zealand and Papua New Guinea are by far the largest countries on these lands that comprise southern Oceania, with the first two the most visited. Within Oceania are the vast island nation groupings of Polynesia to the far east, Melanesia to the west and Micronesia to the north.